Chris Raybeck advises commercial real estate clients; represents banks and financial institutions; assists clients with business acquisitions, dispositions and investment; and counsels companies on formation and governance matters. Chris regularly represents clients in the sale, acquisition, development and management of commercial property across multiple uses, including Class A office buildings and retail shopping centers. His developer clients have an array of focuses, from sponsorship of programmatic development projects for retail and healthcare uses to mixed-use buildings and residential subdivisions. He also represents landlords and tenants in the negotiation of commercial leases for a wide range of uses, on both a gross and net basis. Chris also represents banks and financial institutions in credit facility transactions involving all forms of collateral, with particular emphasis on real estate-backed loans (including acquisition and development loans and construction loans). His loan documentation experience covers multiple industries and includes syndications. 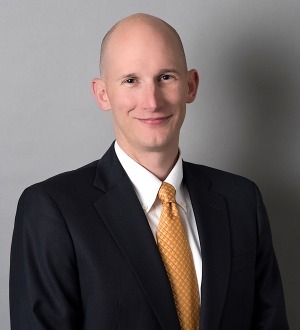 Chris also counsels banks on regulatory matters and bank and holding company transactions.Chris assists clients with business acquisitions and dispositions. He advises start-up companies on formation and governance matters and in connection with investment and capital formation.